On Sunday we decided to pack up the car and drive to St Andrews. The boot was full of rainy day supplies and snacks! We had rain coats, wellies, jumpers, hats, blankets, extra socks and a body warmer..
Ok, i may have overcompensated a little in preparation for a chilly and wet day. Although I thought we would have the worst possible weather, we were actually blessed with one of nicest days of the year! Hooray! First stop.. H&M.. I spilled coffee right down the front of my top on the way there! Doh! Next we headed to the beautiful historic cathedral which led us onto the scenic coastal path. This is a beautiful walk with views of St Andrews Bay and the vast stretch of water leading out to the North Sea. We followed the path all the way around to west sands beach next to the famous golf course. My first thought was Little Bee is going to HATE the sand. We walked half way down the beach and set up our things on a clear spot next to a dry patch of sand. 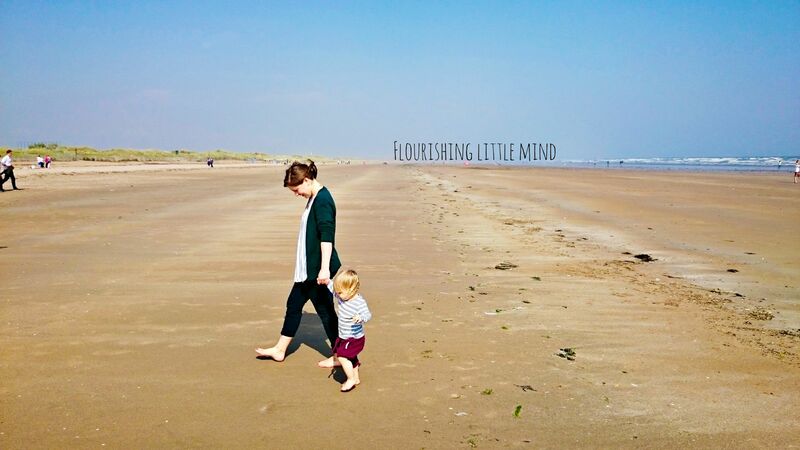 Little bee seemed happy running down the beach with his shoes on, however when we took off his socks and shoes, his reaction wouldn’t be far off what I imagine my reaction would be if my feet were plunged into a bucket full of slugs! His knees scrunched up, his toes curled and his little face was screwed up like he’d just eaten a lemon. Oh dear! We reassured him it was OK and after some persuasion we managed to get him to put his feet down and walk with us. Once he got used to the new feeling on his toes, he was off! 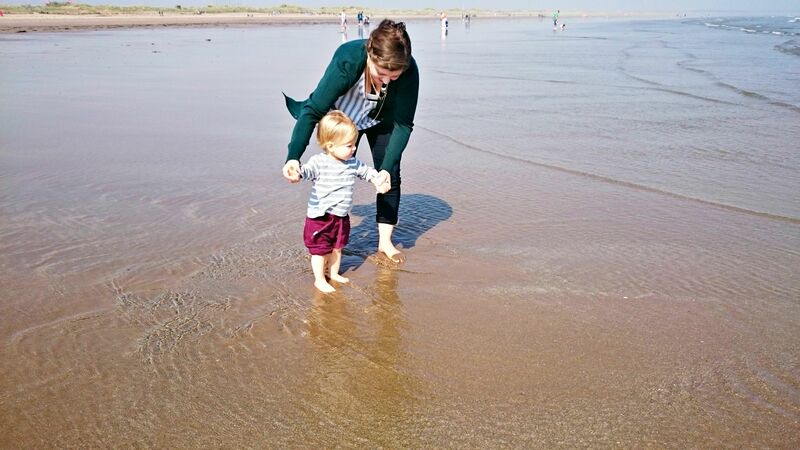 We walked down to the water and the tide was coming in, he was full of giggles every time the water washed over his feet.. Success! 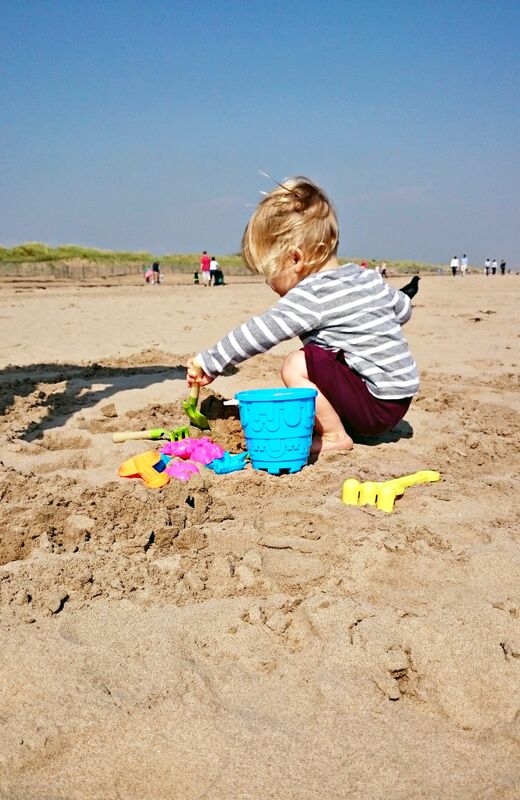 After some time at the water we headed back to our spot to build some sandcastles. This activity consisted of daddy Bee building sandcastles and Little Bee demolishing them.. Cue more giggles. After all our fun on the beach it was past lunchtime and we headed to the best chip shop in St Andrews for a fish lunch. Before going home, we decided to walk to the St Andrews botanic gardens… and guess who we found? 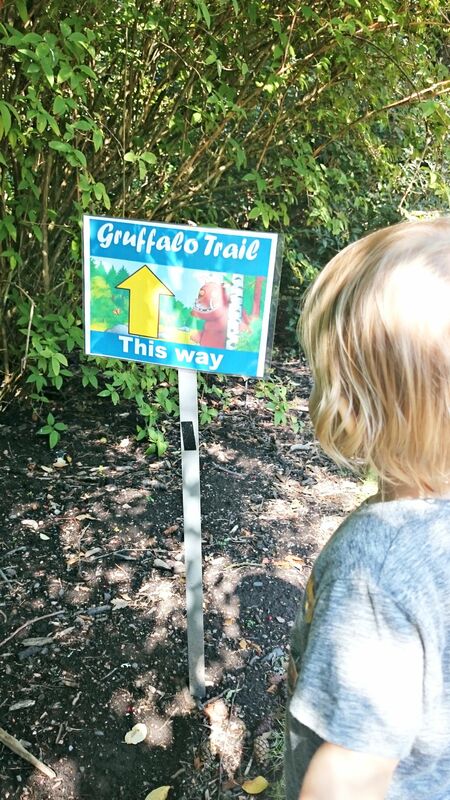 We set off on our hunt for the Gruffalo. This was a great experience and I imagine it would be even better for older children. 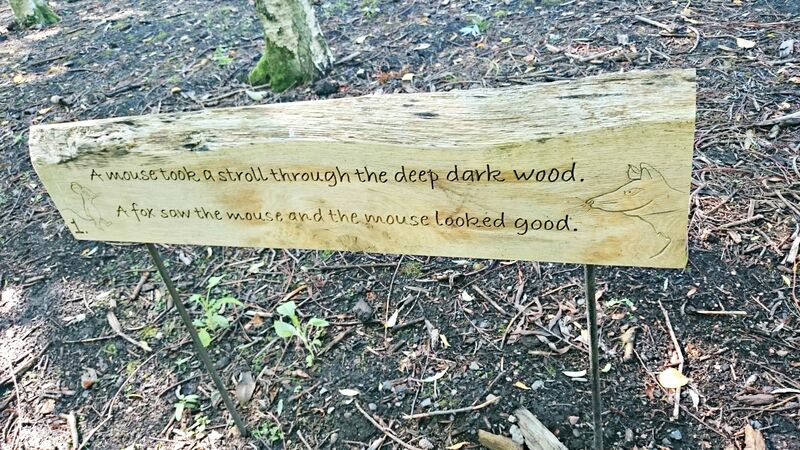 We followed the charming signposts around the gardens and read along with the story as we went. We bumped into the fox, the owl and the snake before finally finding the Gruffalo. We had a good wander around the lovely gardens before heading back to the car to get packed up. Little Bee fell asleep almost as soon as we left the gardens which meant mummy and daddy were able to stop for a quick coffee before driving home. 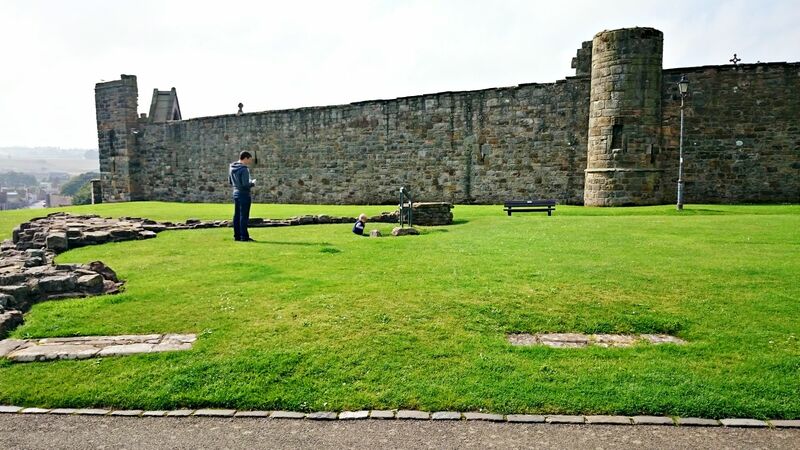 What a fab day we had, i forgot how much there is to do in St Andrews, especially with a little one. We definitely recommend planning a day to spend in St Andrews. There’s so much to keep little ones busy and happy.